Alright girls, this can be a tough topic for some so take a deep breath! I can’t express to you just how incredibly VITAL it is that you STOP down-playing your work and START chatting confidently about your business. Even if it is a project you have started on the side of your 9-5, if you don’t take it seriously, who will?! Practice. Prepare your 30 second “elevator speech”. 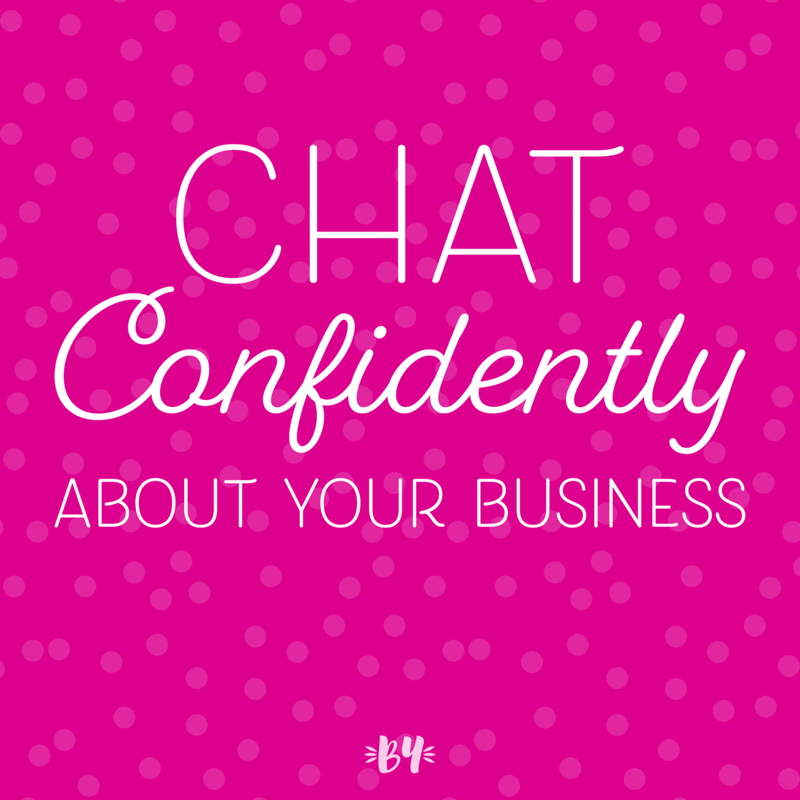 You should be able to talk about your biz as easily as you do your 9-5 job. Think about what questions people will have so you won’t be caught off guard and can give a prepared, confident answer. Own it. No “I’m trying it out to see what happens”. This is not a drill! Put your creative biz front and center. Talk about it before your 9-5. Smile! Smiling gives you confidence and helps you come across as friendly and approachable. It’s a clear signal that you’re proud and excited about your biz. You’ll always face people who don’t understand. We are all serving different purposes, and some people aren’t meant for owning a biz. They may question and doubt. DO talk to those people about your biz plans, but keep them at a distance. It’s okay to still be friends! Hang out, talk about family, movies, activities, just leave your creative business off the list of discussion topics. Move on. Don’t let anyone dull your sparkle. In time, people will understand. And if they don’t.. that’s okay too. They don’t have to understand. We don’t have to completely have our head wrapped around something in order to be supportive. Constructive criticism is helpful in doses, but don’t get caught up or held back by the negativity of those who just don’t get what your biz is about. 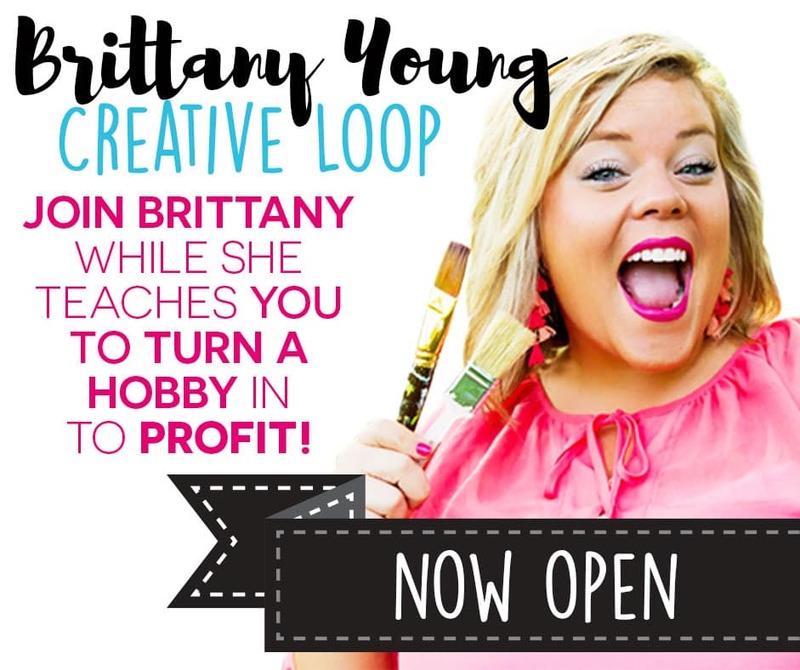 If you don’t really know anyone else starting a business, or you need an open-minded sounding board to help you practice your speech, or you feel you would benefit from more tips and tricks of the trade, I think my Creative Loop has exactly what you’re looking for!